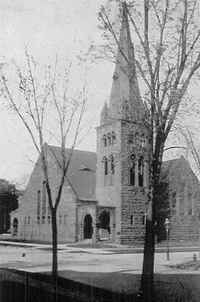 The German Methodist Episcopal Church is related stylistically to the Dayton Avenue Presbyterian Church (1885-1886), Gilbert's only other Romanesque church design that was built. Both made use of large corner towers. Both were edifices faced with rough-cut rusticated stonework. 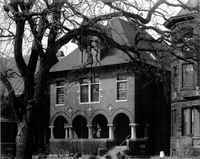 The entrance to the German Methodist Episcopal Church was in the center of the gable front in a Romanesque arcaded porch, unlike the Dayton Avenue Church where the entry is in the corner tower. The voussoirs in the arches of the Dayton Avenue Church are exaggerated, and the span of the arches is reduced for decorative effect. In the German Methodist Episcopal Church the arched openings were relatively larger and the voussoirs smaller. 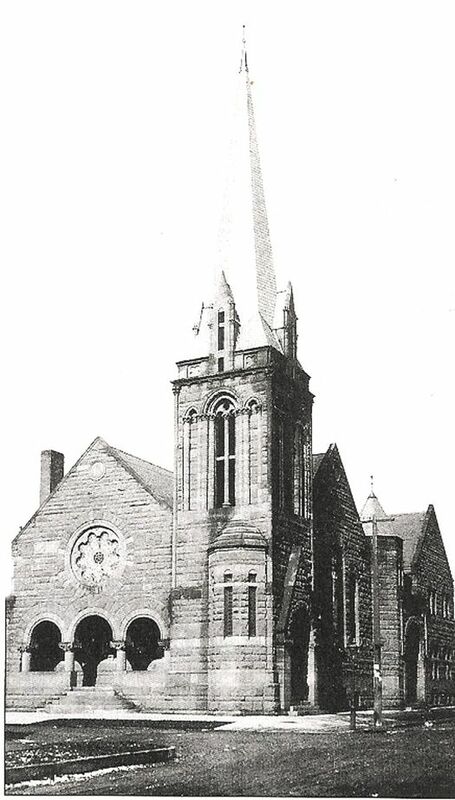 The detailing of the German Methodist Episcopal Church was more closely related to German Romanesque sources, and the detailing of the Dayton Avenue Church is more related to Richardsonian sources. The former was more typical in its approach; the latter was more in the architectural moment. The diversity of German church towers and the original blend of eclectic elements in architect Henry Hobson Richardson's work make it difficult to trace Gilbert's prototypes, as he was familiar with both the original sources and Richardson's work. It is not known how Gilbert obtained the commission for the church. It was a large, expensive building costing $45,000, constructed in a working-class neighborhood north of downtown Saint Paul that contained a mix of residences, warehouses, and small factories. It was razed around the turn of the twentieth century to make way for the Great Northern Railway freight yard.